As we said in previous articles, the world is full of different myths and legends. We have already drawn mythical characters from Britain, Japan and Greece, and it’s time to draw a character from Indian myths. The theme of today’s lesson is how to draw Airavata. 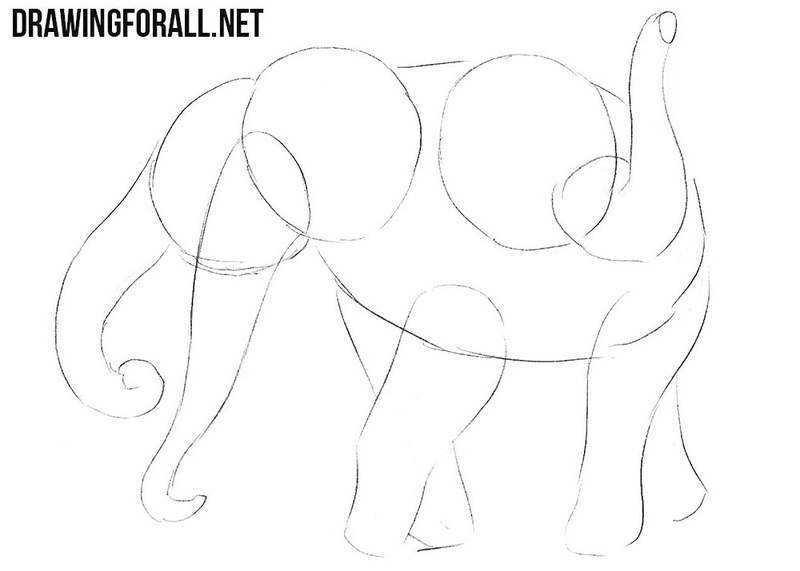 Draw a large oval – this will be the torso of our mythical elephant. Next, draw three circles – this will be the heads of Airavata. The first step is always drawn using very light lines. When you draw these lines, keep in mind that in the future we will have to erase them. 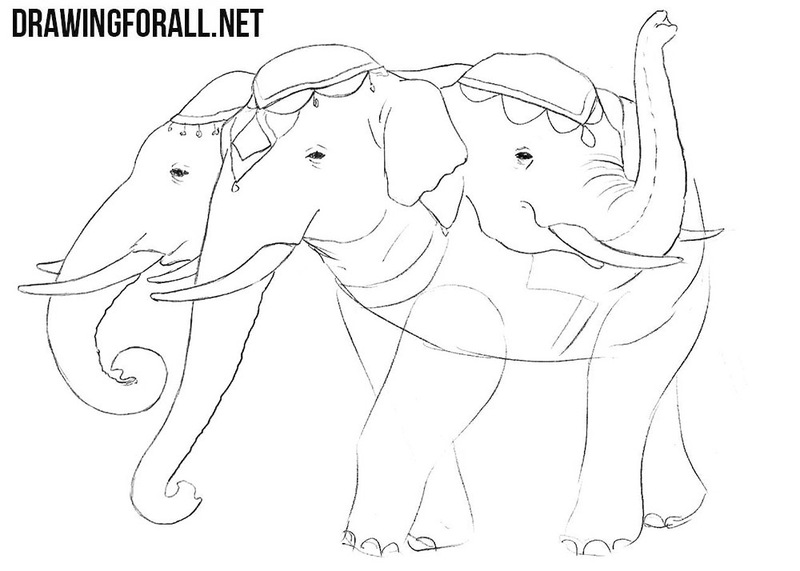 Now let’s outline three long trunks on three heads. 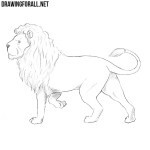 Next, we draw four legs using simple geometric shapes. 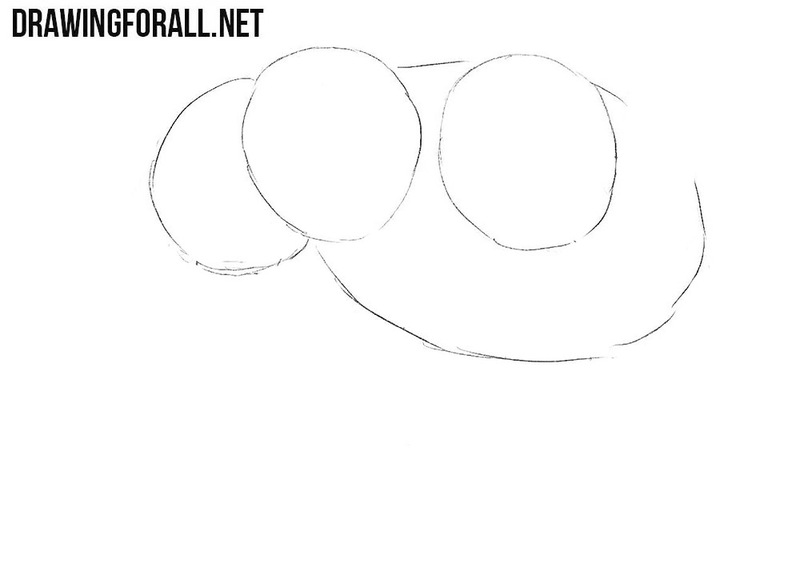 This step, just like the previous one, is drawn using extremely light, almost transparent lines. Recall that the first steps are extremely important, as the mistakes made in these steps will be extremely difficult to correct in the next steps. Let’s now outline some details. Here we sketch three pairs of tusks, eyes, ears, nails and clothing elements. The dummy of our mythical three-headed elephant is ready, and we stop using light lines and from the next step we will start using very dark and clear lines. Carefully draw out all the many details as shown in our example. Make the lines clear and dark and remove all unnecessary guidelines. 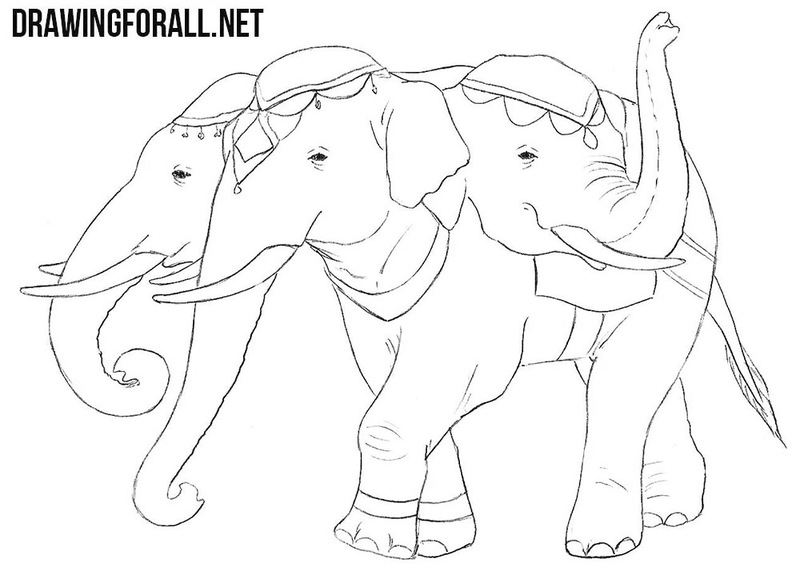 Be especially careful when you draw headdresses, eyes and wrinkles on the heads of our mythical elephant. Now let’s deal with the details of the body. Just like in the previous step, using clear and dark lines, we draw all the details. 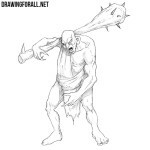 Carefully draw out a torso, legs, large nails and clothing elements. Do not forget to draw the necessary wrinkles on the body. And just like in the last step we delete all unnecessary guidelines. 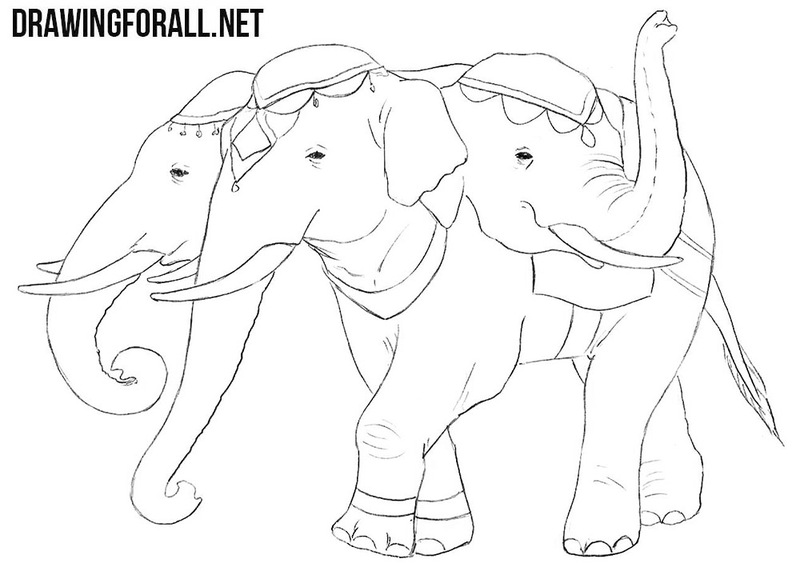 It was a three-headed elephant from Indian mythology. In the future, we will draw a lot of characters from the myths of India and other countries. 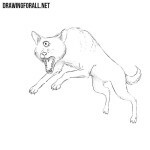 So do not forget to visit our site as often as possible, so as not to miss any new creatures drawn by our artists.